Sun kissed beaches, palms, cashew plantations, forts, centuries old cathedrals, Goan fish curry rice, cashew fenny dominate, back waters, festivals, flea markets, Santa Monica Cruise Ride, Spice Farms and a very relaxed style of life is what Goa is all about. Goa also known as the "The pearl of the orient" is an ideal holiday destination to be enjoyed at a leisurely pace. Goa lies on the west coast of India, the 25th State in the Union of States of India, were liberated from Portuguese rule in 1961 after a 500 year reign. A period long enough to have Portuguese colonial influence which brings in a 'East meets West culture', makes Goa a attractive tourist destination attracting tourists from all over the world. There is a lot more to discover here than the exquisite pleasure of warm sand between your toes. Pep up your stay with a wander around a vanilla-scented spice plantation, stroll the bird-filled banks of the state's gentle rivers, poke around centuries-old cathedrals, and venture out to white-water waterfalls. Venture out for fishing or crab catching or visit nearby islands. Trek in the Jungles, go for a canoe rides in rivers cutting across deep forests. Try a hand at snorkelling or other adventure sports. Goa can be enjoyed round the year; but the best time to visit Goa is from mid July to September end or November end to mid February. Night life in Goa, shack Parties, terrace top parties, cruise ship parties, barge parties, dance the night away to the vibrant tunes of Trance music. Never mind even if you are not a party animal, Goan Nightlife has something for everyone. The lazy bones can stretch around a bonfire on the beach front and watch the sea tides washing the shore. If you arrive on a Saturday you can step into Ingo Saturday night bazaar at Arpora. A fun spot with no cover charge, you can experience a shopping extravaganza with food, sights and entertainment from all over the world. 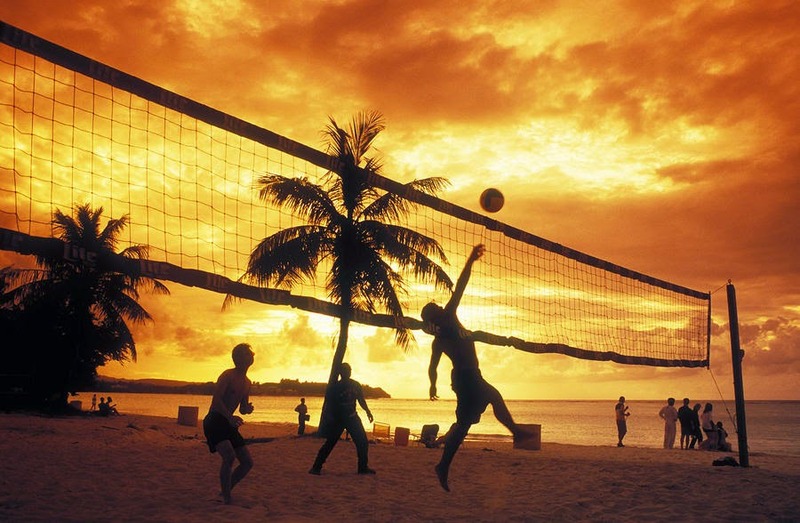 For Goa 4 Days on a shoe string budget click here (Group booking only). With its Bohemian atmosphere, Arambol has long been a destination for many of the long-term hippies, youthful backpackers, Found in India’s northern Goa, it is also a popular backward retreat for the partygoers of nearby Anjuna Beach, the so-called "Freak Capital of the World." The largest coastal village in the Pernem district, Arambol has some of the most beautiful and secluded beaches in the entire Goa region. Characterized by a calm atmosphere, old wooden fishing boats, soda-white sands, swaying palm trees, and traditional village houses, the beaches beg to be swum in. Watching the dolphins, relaxing by the shores or just taking in the charming nature are other suitable activities. Arambol, however, doesn't pulsate with vibrant nightlife so those who feel the urge to party would do best to head to Anjuna, and return when it is time to rest. Tourists can go trekking to a small freshwater lake found near the beach. Hidden behind dense jungle foliage, it is noted for its hot springs that are lined with sulfuric mud. This mud in particular is said to possess curative effects which make some visitors lather it on their bodies. One can also see nearby a stone carving called the "Money Stone" alongside a sprawling banyan tree. Sculpted by the American Conceptual and Land Art artist Jacek Tylicki, it bears an inscription stating: "give if you can; take if you have to," and passers-by often leave or take some money. Don’t forget to try line of Shack that serve multi cuisine along the beaches. There is also the Teracol Fort found by the banks of the Teracol River, used by the Portuguese in defending the land years before. Visitors can still make out some of its old turrets, and even its moat, though now dry. One, too, can glimpse inside the Chapel of St. Anthony that brandishes a distinct classical Goan-style façade. Drive down to the northernmost tip of Goa. Mounted on a rocky plateau is theTeracol fort. 45km from Panaji. 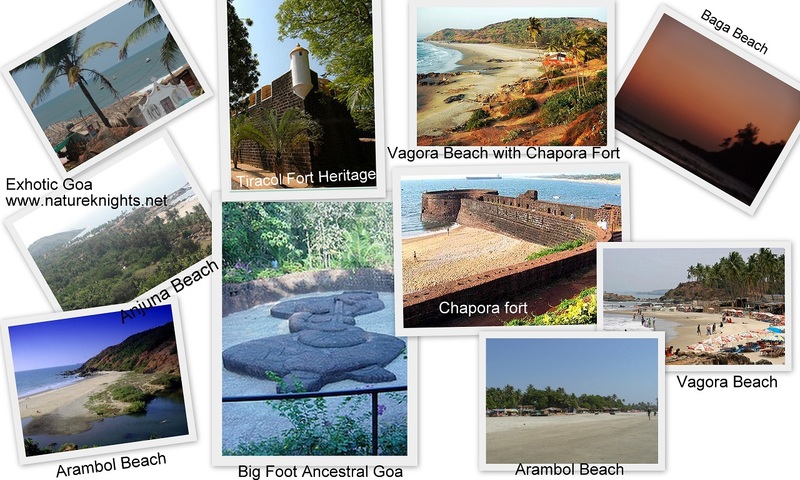 Once a key Portuguese fort for the defense of Goa, it now converted to low-key luxury hotel. In the forts square is the four-hundred-year-old chapel of St.Anthonys. Set amidst beautiful surroundings with the lovely backwaters on one side and the lush green forests on the other makes it worth a climb to the top. You can reach the base of fort you need to take a ferry from the hamlet of Querim beach. A 8 km trek to Tambdi Surla temple situated at about 18 km from the Bhagwan Mahaveer Sanctuary ghat. It is the only surviving structure of the Kadamba Yadava dynasty. Thus it is the oldest temple of Goa that survived from the Portuguese as it was set next to a stream in the middle of the small clearing, hidden in the dense. Spice village an organic spice farm is situated at the foot of the Western Ghats, on the banks of the river Khandepar. It is about an hours’ drive from the capital city of Panaji. It is 7 kms from the temple town of Ponda. This 50 acre farm has almost all the tropical spices and fruits along with about 2500 species of garden plants and flowers.